Unique planning solutions and high quality service to help reach your financial goals. Our mission is to work with clients to identify their financial goals and establish financial security. 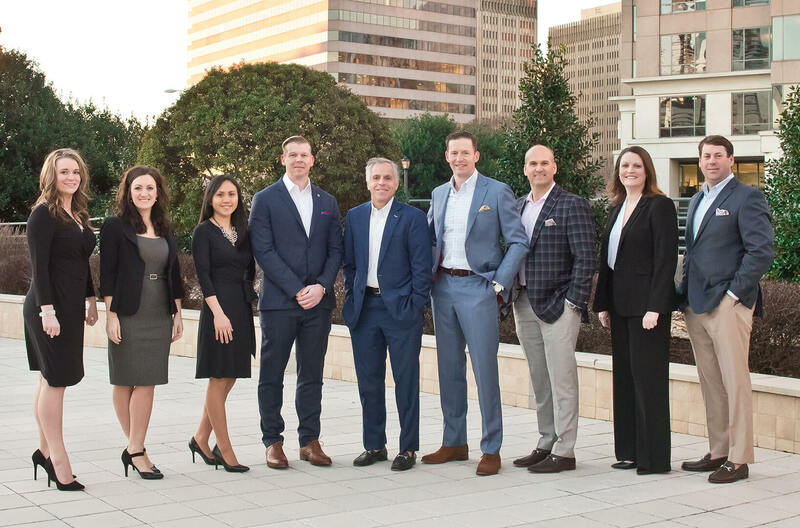 At the Brecher, Greenberg & Brinson Group, we offer quality service through our team of highly qualified specialists. We understand all goals are unique, which is why we’ll take the time to get to know you and create a customized plan to fit your needs. September 27, 2018 - Clay Brinson has been named to the 2018 edition of the Financial Times 401 Top Retirement Advisers. * The list recognizes top financial advisers at national, independent, regional and bank broker-dealers from across the U.S.
Clayton McLeod Brinson , Paul J Greenberg and Stefan R Brecher use Brecher, Greenberg & Brinson Group as a marketing name for doing business as representatives of Northwestern Mutual. Brecher, Greenberg & Brinson Group is not a registered investment adviser, broker-dealer, insurance agency or federal savings bank. Northwestern Mutual is the marketing name for The Northwestern Mutual Life Insurance Company, Milwaukee, WI (NM) (life and disability insurance, annuities, and life insurance with long-term care benefits) and its subsidiaries. Clayton McLeod Brinson , Paul J Greenberg and Stefan R Brecher are Representatives of Northwestern Mutual Wealth Management Company® (NMWMC), Milwaukee, WI (fiduciary and fee-based financial planning services), a subsidiary of NM and limited purpose federal savings bank. All NMWMC products and services are offered only by properly credentialed Representatives who operate from agency offices of NMWMC. Clayton McLeod Brinson , Paul J Greenberg and Stefan R Brecher are Agents of Northwestern Long Term Care Insurance Company, Milwaukee, WI, (long-term care insurance) a subsidiary of NM. Clayton McLeod Brinson , Paul J Greenberg and Stefan R Brecher are Registered Representatives of Northwestern Mutual Investment Services, LLC (NMIS) (securities), a subsidiary of NM, registered investment adviser, broker-dealer and member FINRA (finra.org) and SIPC (sipc.org). Clayton McLeod Brinson , Paul J Greenberg and Stefan R Brecher are Insurance Agents of NM. Clayton McLeod Brinson , Paul J Greenberg and Stefan R Brecher are primarily licensed in GA and may be licensed in other states.